The Mercury Music Award has a reputation for being a bit of a career killer. Past winners, including Talvin Singh, Badly Drawn Boy, Ms Dynamite and Gomez haven’t exactly gone on to set the world alight. Damon Albarn was so concerned about the award’s supposed curse he requested that Gorillaz’s 2002 nomination be withdrawn altogether. 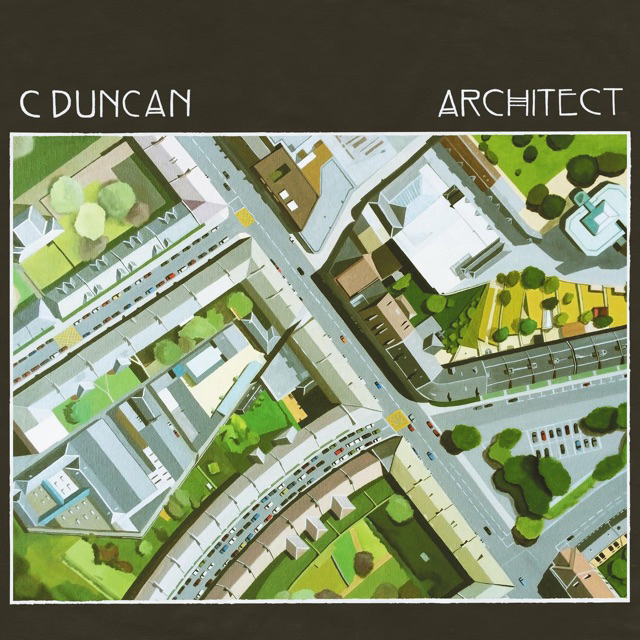 Still, a mention in this year’s shortlist for his debut album Architect doesn’t seem to have done C Duncan’s career much harm so far, if a busy Sunflower Lounge is anything to go by. Christopher Duncan, tonight backed by a live band of bass, keys and drums, is a classically trained composer who recorded Architect on his own, in his bedroom. Apart from a few glitchy dance beats not really present in its live realisation, the album certainly doesn’t sound like it has been recorded in a bedroom – the songs are obsessively meticulous and have a warm autumnal glow. Duncan’s classical background is apparent throughout his music, perhaps most notably in his thoughtful arrangements, with returning motifs played across all instruments and vocals, and in the way he plays electric guitar with more of a Classical than a Rock style. Duncan’s guitar playing is particularly interesting – he plays a lot of the notes using only two fingers. In fact, he plays guitar like someone who has a ton of innate musical ability but has never actually seen anyone else play one before. Singles ‘For’ and ‘Say’ are Duncan’s most catchy and immediate songs, capturing a similar whimsical beauty as bands like Fleet Foxes, Yeasayer and Grizzly Bear. Debut single, ‘For’, conjures up a wistful postcard of the British seaside, with pretty picked guitar chords interspersed with offbeat drum patterns that keep things interesting. In ‘Say’ the backing vocals, so effective throughout the set, are particularly beautiful, swelling in the chorus like a choral piece. It doesn’t always work. When C Duncan moves into more cheerful subject matters things get rather cloying. ‘He Believes in Miracles’ (“Someone came and stole my heart – I don’t want it back”) and ‘Garden’ feature saccharine Beach Boy backing vocals and lyrics that err just too far on the side of twee. The slow and hypnotic ‘Novices’ gets things back on safer ground, the chorus shimmering with a celestial brilliance. At his first headline gig in Birmingham, Duncan has the wide-eyed enthusiasm of someone who can’t quite yet believe that audiences are actually turning up to his shows – he thanks the crowd for being there so many times that he starts to get heckled by his own band. But he’ll soon get used to it. He has all the talent and flair to develop into a fascinating artist. And I for one will be hoping that on Friday 20 November, C Duncan does not win the Mercury Music Award.